Smok V8 Baby RBA Coil, which is designed for TFV8 Baby, will give you different vaping experience. Just get it as your spare part. 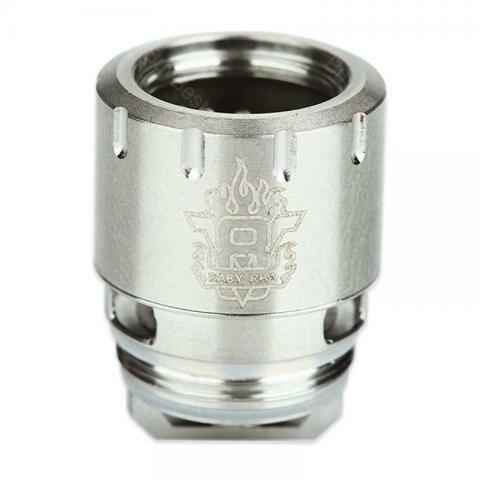 • Quick link: TFV8 BABY Beast Tank. Delivery: Ok (1 week more than expected)Package: Good conditionOriginal: Totally Original (Pass double check on Smok registry app)Product: This is a "must have" for every one who is beginner in vaping. Its highly recommend acquired at the same time with any Smok TFV8 Thank or compatible. As you can use any prebuild coils you can begin to experiment building your coils in this double coil setup. For coils max 3mm diameter. For advanced user is highly recommended as backup RBA for TFV8 Smok Tanks or compatible. AddOns: Include a taller Pyrex ONLY FOR TFV8 Baby (whit this RBA the height of the setup increments a few mm ) Replacemet screws. A couple of coils for the first runCons: Allen screws tend to distort the Allen nocht if Allen key is not fit properly. It generates a lot of spitback if not wicked properly. In some units the positive post is not tight fitted and this loose contact doesn't allow the mod to correctly read the coils ohms. There are many YouTube videos of how to fix this design flaw. I personally use this RBA as test bench when begin to build my own coils. If you want to save an extra money on eliquids this is a good choice and the best is you want lose any flavor and vapor . SMOK V8 Baby RBA Coil is a rebuildable coil atomizer. It is ideal for vapers who want the freedom to build and rewick their own atomizer heads.